Item: CVA 256-01.17 - Sir Donald Smith driving last spike of the C.P.R. Item is a photograph showing C.P.R. officials at Stoney Creek. Pictured (L-R): Harry Abbott, Mr. Erskine, P.A. 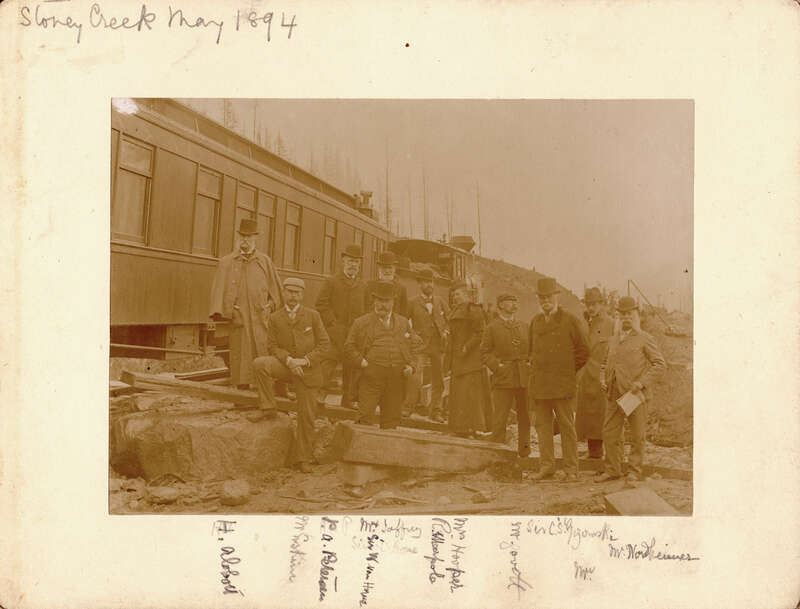 Peterson, Sir William Van Horne, Mr. Jeffrey, Richard Marpole, Mrs. Hooper, Mr. Gavett, Sir C.S. Gizowsky, [unidentified], and Mr. Norheimer.